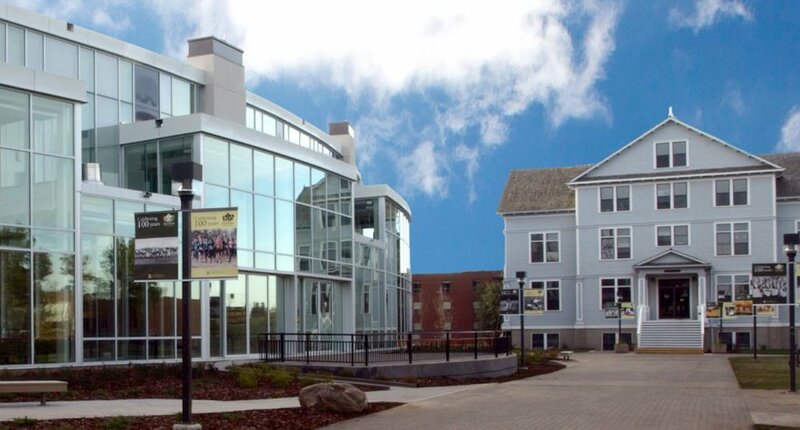 Welcome to the University of Alberta Augustana Campus in Camrose, Alberta, Canada! Delegates should plan to arrive on Tuesday, August 8 with departure on Sunday, August 13. The City of Camrose is located approximately 50 minutes from the Edmonton International Airport. It is best to travel to Camrose via the the Edmonton International Airport (www.flyeia.com). The deadline of June 30th, 2017 for airport transfer requests has now expired. Arrangements for transportation to and from the Edmonton International airport to Camrose are now your responsibility. For other transportation options (taxi, car rentals) please visit this LINK. You may also wish to contact other delegates via the International Kodály Symposium Facebook page to arrange shared accommodations. Nestled in the heart of Alberta, Camrose’s allure and vitality are rarely rivaled. This dynamic and warm-hearted university town of 18,000 people begs to be discovered! Camrose is known colloquially as the "Rose City" due to the large number of wild roses which grow in the surrounding parklands. The beautiful park system, walking trails, world-class recreational facilities, and the University of Alberta Augustana campus awaits your arrival. Camrose is situated about 90 kilometres (56 miles) from Edmonton, the capital of Alberta. Camrose is located in a transitory region of Alberta, between prairie and boreal forest known as aspen parkland. It is a major economic centre for many small farming communities in the surrounding area. The Stoney Creek runs through the city and flows into the Battle River south of the city. Note: As Calgary is three hours away from Camrose, symposium transportation services will not be available from the Calgary International Airport. to assess visa requirements for Canada. For all non-Canadian delegates: A letter of invitation from the University of Alberta will be sent to you upon receipt of full registration. For Canadian immigration laws this letter will need to be presented to the admitting Customs/Immigration Officer at the Canadian border crossing or airport. As a result of an enthusiastic response for accommodations, all campus accommodations are now fully booked. Please check the symposium website on a regular basis as a few campus rooms may come available at some point over the next few weeks. Information about hotel accommodations can be found below. Campus meal packages are still available. The delicious, locally sourced dining options provided through a University of Alberta Augustana Campus cafeteria meal plan. The non-corporate Augustana Campus cafeteria has an excellent reputation and is able to accommodate all dietary restrictions. Double and single rooms are available with either full bath shared with two adjacent rooms, or with dormitory-style floor-shared washroom and shower facilities. As campus accommodations will be a popular choice, delegates are encouraged to reserve space early in order to secure their preferred accommodations. Campus accommodations are now fully booked. Hotel accommodations (see below) are still available. For those delegates who OPT OUT of the meal package, a charge of $60 CDN (tax included) for Symposium receptions & nutrition breaks will be charged at Symposium onsite registration. Individual meals may be purchased onsite with cash payment if space allows. Additional banquet tickets will be available for purchase after May 1, 2017. Hotel accommodations have been reserved for symposium delegates at four hotels in Camrose. Delegates wishing hotel accommodation must book directly with the conference hotels. When booking, reference the International Kodály Symposium to receive a conference rate. For hotel accommodation, please call and book up to one month in advance. As the hotels are not within walking distance of the symposium venue, transportation services from the hotels to the University of Alberta Augustana Campus are available upon request. The Faith and Life Centre at the Augustana campus was dedicated on October 20th, 1990. The building, designed by Clifford Wiens is anchored by a chapel, all brick and beams, spacious and flexible with a beautiful acoustic for singing. The strength of its architectural statement expresses both a sense of community and the humanness of worship, but also evokes a sense of dignity and awe. The Centre contains spaces for worship and learning, recreation, administration, counselling, and music. This building makes plain that here, daily, faith and life are intertwined. It is a place in which the whole person will be nurtured, one of the aims of the University of Alberta Augustana campus. The Lede memorial organ is a treasure. Constructed in London, Ontario, by masterbuilder Gabriel Kney, the pipe organ fills the Augustana chapel with glorious sounds. The Jeanne & Peter Lougheed Performing Arts Centre is a unique performing arts venue located on the beautiful, historic University of Alberta’s’ Augustana Campus in the heart of the province. The facility was built through the collaborative efforts of the City of Camrose and the University of Alberta. It was conceived of as a performance space to celebrate our cultural achievements and provide access to the performing arts for the community. The overall design for the building included a great deal of attention not only to what the community was envisioning for the space but also towards sustainability for the future. The theatre is home to the largest integrated photovoltaic array,(solar panels), which blanket the entire 70’fly-tower, including the North face, and is the first theatre in North America to use entirely LED lighting, including the stage lights, on the interior and exterior of the building. For details about other green features of the building, click here. The Cargill Theatre seats 580 on two sloped floors, yet retains an intimacy which will provide audiences with a closer connection to the artist and provide the artist an opportunity to connect on a deeper level with the audience. The sound, lighting and projection systems are state of the art and will provide every visitor, in every seat a memorable live performance experience. The Mayer Family Community Hall provides alternative space for many different kinds of events. The hall, which also boasts a sprung floor, can be configured to accommodate between 135 and 200 people seated, either at tables or theatre style. It can be used for smaller scale performances, receptions, conferences, or rehearsals. This is a space which can be rented and configured to suit any need! 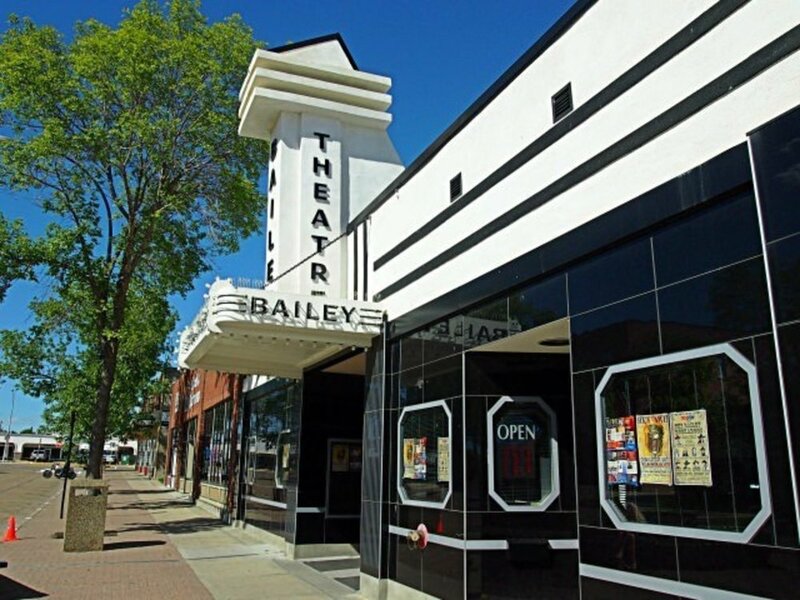 The Historic Bailey Theatre, built in 1910, will serve as the venue for the Symposium 2017 barn dance on the evening of Friday, August 11.